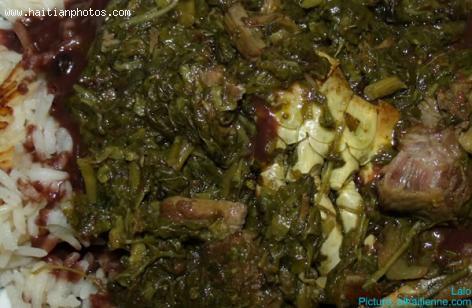 Lalo Legume Fey is a signature dish of Artibonite. Any Artibonitenne, one must know how to prepare this dish properly. It is a staple food of the area made using rice, beans and lalo. The dish is not only filling but is also hearty and tasty and is known for high amounts of protein and iron. The dish is made using different kinds of green vegetables. The greens that are generally used include lalo, spinach, watercress and purslane. Meat is also required for the preparation and is cooked one day ahead of preparing the dish. How to prepare Lalo Legume Fey?